Continuing his major work on strategy and tactics in modern chess, the internationalyl renowned Grandmaster, Ludek Pachman, now turns his attention to the play of the pawns and the achievement of control of the center squares. Though the pawns are the weakest pieces in chess, their importance in determining the character of the attack (and defense) and the development of strategic play cannot be underestimated. Pawns are essential to the protection of important squares and pieces. They are the best means of blockading enemy pawns and when correctly deployed, their advance can open vital files and diagonals, thereby creating weaknesses in the opposite position. Despite its limited power, the pawn has one special advantage over other pieces in that it can be promoted when it reaches the eighth rank; a successful pawn advance can completely change the balance of power and the outcome of a game. Pawns have aptly been described as "the soul of chess." Vital of chess mastery is a basic understanding of the importance of control of the center squares. The effectiveness of the pieces depend upon the strength of their position and center control creates a vital sapatial superiority. 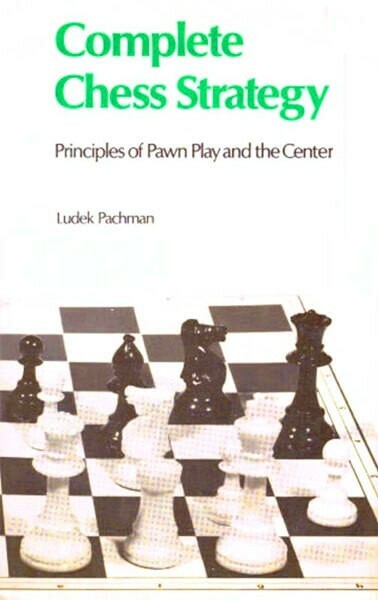 The effective play of the pawns and center control have been touched upon on other works, but seldom with the insight and lucidity revealed in this second volume of Pachman's masterwork.